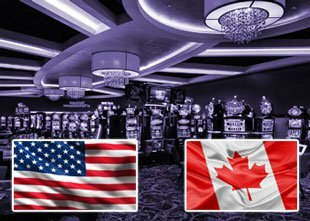 While the US and Canada are close neighbors, there are huge differences in their gambling laws and what is legal when it comes to casinos. 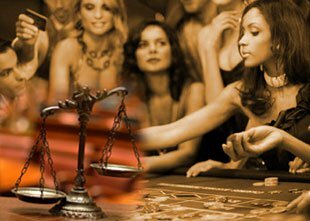 On this page of our site we are going to compare the US and Canadian online casino laws and discuss the future of online casinos in the US and Canada. Gambling laws are considered slightly restricted due to the federal and provincial laws but online gambling is not illegal. Casinos are licensed and regulated by the provincial governments who determine whether or not land based or online gambling is allowed. Some provinces operate their own online casinos and most of the government approved places allow Canadians to place bets over the internet. It is perfectly legal to use these sites and purchase lottery tickets online. It is illegal to provide online gambling services unless you are approved and licensed by the government. Canadian residents are allowed to use offshore casinos legally. 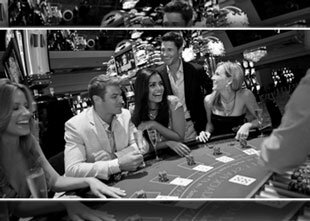 Online Casinos - Canada's Online Headquarters for Casinos has everything you need including the best bonuses and promotions for real money players. Gambling online in the USA is controlled by federal and state laws. There are a number of Acts in place including UIGEA (Unlawful Internet Gambling Enforcement Act) which makes it illegal for gambling sites to accept money. It is not illegal to gamble or deposit money, but it is illegal to accept payments. The RAWA (Restoration of America's Wire Act) was reintroduced in 2015 and this outlaws sports betting and not online gambling. If this act is rewritten and approved most forms of online gambling will be banned. The IGRA (Indian Gaming Regulatory Act) regulates and monitors Native American gambling establishments and applies to land based Indian reservations and not online gambling sites. Online Gambling is legal in three states, Nevada, New Jersey, and Delaware, and there are two main licensing commissions to regulate this. These are the New Jersey Casino Control Commission and the Nevada Gaming Commission. In Canada gambling was illegal until the 1970s. The reformation of the Criminal Code gave provincial governments throughout Canada the power to license and regulate gambling activity within their own territories. This rise of online gambling and in particular online poker saw Canada's online gambling industry soar especially with the introduction of the UIGEA law in the United States. Some provinces embraced the online gambling culture and even opened their own online casinos. An example of this is PlayNow in British Columbia. It seemed the Canadian government was happy to legalize online gambling once operators adhered to the regulations that were set in place by the government. One area that causes a lot of debate and controversy is the Kahnawake Gaming Commission. This Indian reserve is located on the borders of Canada and remains a sovereign nation within its own right. Casino operators have used the commission to avoid the Canadian online gambling laws and regulations. Despite being based in Canada the Kahnawake Gaming Commission does not come under Canadian rule. During the Californian Gold Rush and Great Depression eras, gambling was considered illegal and much of it took place underground. The Federal Wire Act of 1961 kept gambling illegal across many of the US states until some states introduced their own gambling laws. The legalization of casinos on riverboats is one example of this. The Unlawful Internet Gambling Enforcement Act of 2006 was introduced and this law prohibited "gambling businesses from knowingly accepting payments in connection with the participation of another person in a bet or wager that involves the use of the internet and that is unlawful under any federal or state law." The repercussions of this law were felt worldwide with many online casinos and software providers pulling out of the US. The law also led to confusion over what was considered legal for US based players playing at international online casinos. This law came at a time when online poker was huge and the World Series of Poker Main Event saw millions of players signing up for accounts at online poker sites in 2003. Many players also went on to try out online casino games too, but the UIGEA law put a stop to all of this. The online gambling industry is changing all the time, particularly for players in the US. In recent years, there has been more positive than negative news for online gambling fans with states such as Delaware, Nevada, and New Jersey all introducing laws that have legalized regulated online gambling. Other states, except for Washington, allow US residents to gamble online at offshore operators. Donald Trump becoming president has brought more uncertainty for gambling in the US. As a former owner of several Trump-brand casinos across America, there was speculation that he would want to relax the laws. Trump still has a number of business associates who have expressed a desire to see land-based gambling favored over online gambling so we have to wait and see. The global gambling market is set to continue to expand and if the US has any sense they will follow Canada's lead and allow the people to decide when it comes to online gambling. The best casinos for Canadia offers excellent bonuses and promotions including free spins, no deposit bonus offers, and much more to entice players. A regulated market that brings more opportunity to people will generate more revenue, but if online gambling remains outlawed it will drive the activity underground and revenues will go to criminals instead.